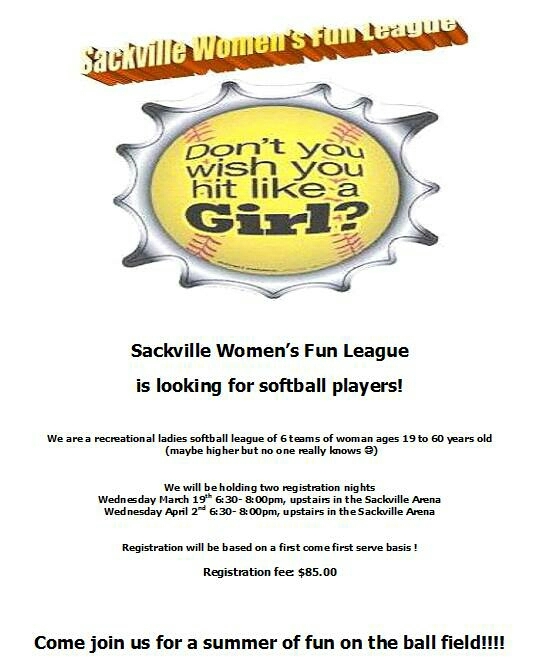 #Sackville Women’s Fun League Sign Up Info Is Here! #Softball | Sack-Vegas!!!! Hey, Ladies!! Looking to play in a softball league this year? Here ya go! Posted by Sacky on March 8, 2014 in Uncategorized.